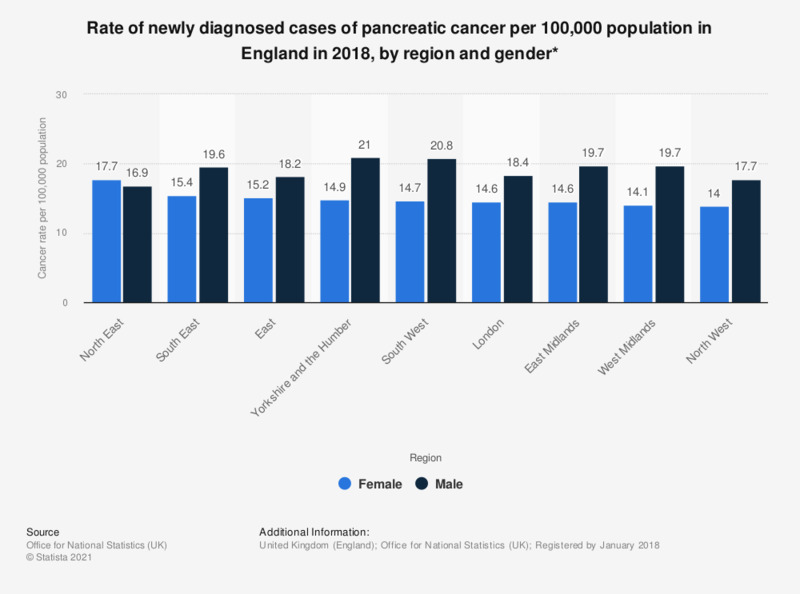 This statistic shows the rate of registrations of newly diagnosed cases of pancreatic cancer per 100,000 population in England in 2016, by region and gender. With a rate of 20.1 newly diagnosed males with pancreatic cancer and 15.7 females per 100,000 population in 2016, the region most affected by pancreatic cancer was the North East. Pancreatic cancer medical term = malignant neoplasm of pancreas.